Apple’s shares fell by 9.4 % (what is about 60 billion in value terms) two weeks after it was officially launched. According to analysts, the reason might be the company’s decision to use aluminium elements in design of smartphone – its applications requires more time and labor resources. Shortly after the sales, iPhone 5 buyers complained that the main body of the new smartphone easily gets scratched and worn very easily. Usage of aluminum allows to make the device thinner and lighter, but this metal is susceptible to mechanical damages. According to Bloomberg, citing sources who knows about the situation in the company, in response for complaints for scratches, Apple’s representatives have ordered the Foxconn workers to increase the quality. RELATED: Was There Any Strike in Foxconn ? According to site Apple.com, delivery time of iPhone 5 to client is now about 3-4 weeks, while time of delivery to clients of earlier versions of iPhone and Mac computers don’t exceed a few days. Problems with fulfilling the demand for the new product have already cost Apple $60 billio of the market capitalization, lost during the period of sales of iPhone 5. Analysts say, these difficulties contributed to lower stock prices for Apple. Due to these problems with assembling iPhone 5, analysts from RBC Capital Markets lowered forecasts of sales of devices from September to the end of year: instead of previously projected 57 million to 49 million. Neither Apple, nor Foxconn commented on this information, wrote the agency. 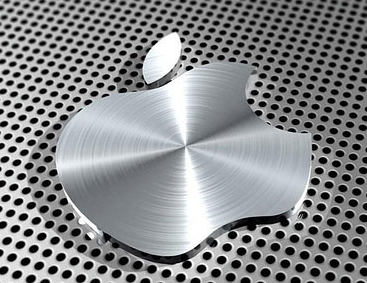 With reference to Foxconn factory workers, who assembles iPhone 5, the agency says that requirements of assembling which Apple claims now is practically impossible: device can be scratched on all the stages of its production, starting from the anodizing process (making decorative coating on aluminium parts of device) and ending assembling details of smartphone together. «Assembling iPhone 5 is quite difficult because of its minimalistic design. Apple has too high standards of quality. All copies have to be absolutely equal to within the nearest micron, “- said Bloomberg analyst in Sterne, Agee&Leach Inc. Shaw Wu. iPhone 5 sales began on September 21, the device is now sold in 31 countries. For the first 3 days Apple sold more than 5 million pieces, which was the highest figure in comparison to previous models of the iPhone. Alex is a senior computer programmer at a Tech & Science, a leading technology blog.